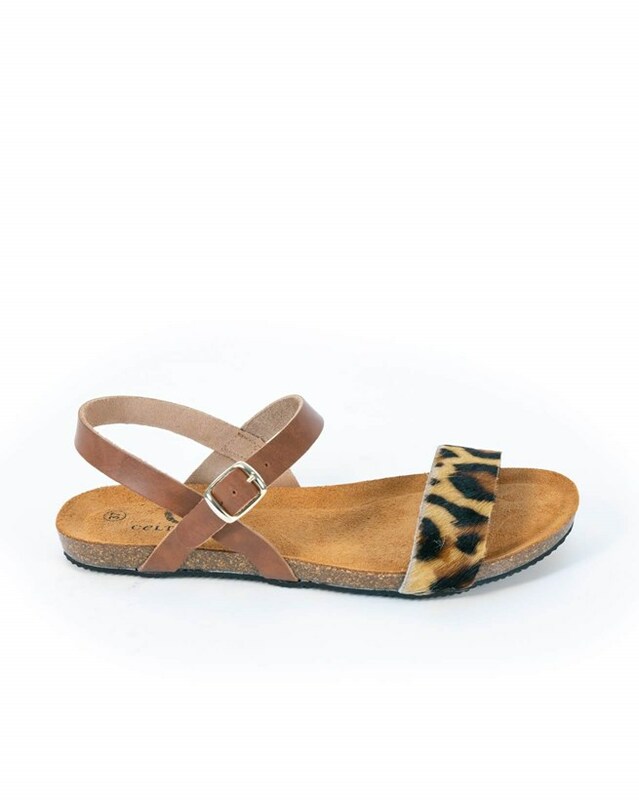 In a combination of soft brown leather and textured leopard print, these sandals are both comfortable and practical, whilst looking luxuriously on trend. 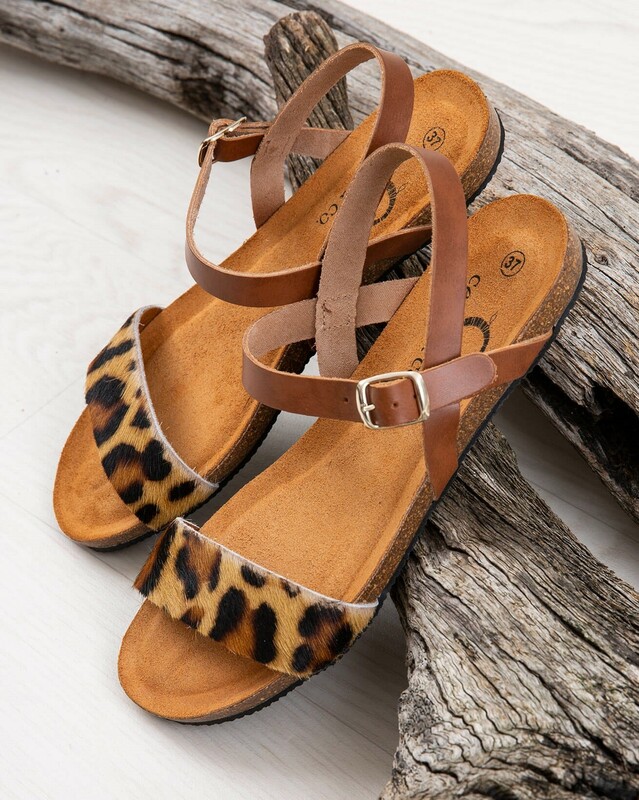 Perfect for exploring the coast or city, take our leather leopard print sandals on your next adventure. 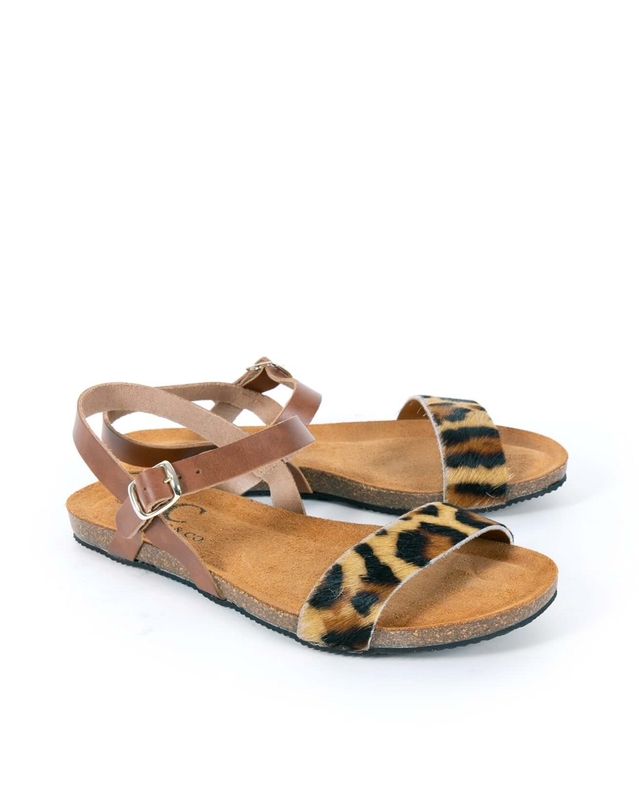 Use a neutral cream and a soft cloth to polish the leather and a brush for the leopard print strap. The sandals delivered are not the same as the ones on the model's feet, but instead like the ones in the other photos with the leopard-print crossbar going all the way over the sole instead of just to the top of the sole. The difference means that they do make the foot look wider than the ones modelled, but they are still rather nice.